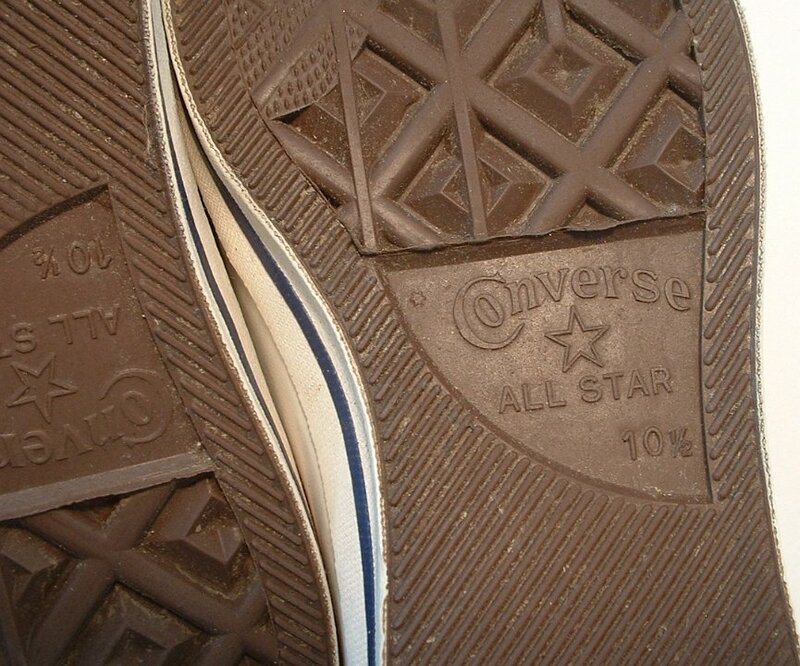 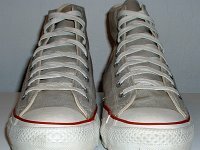 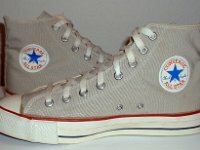 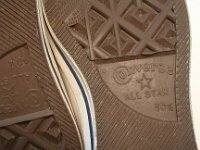 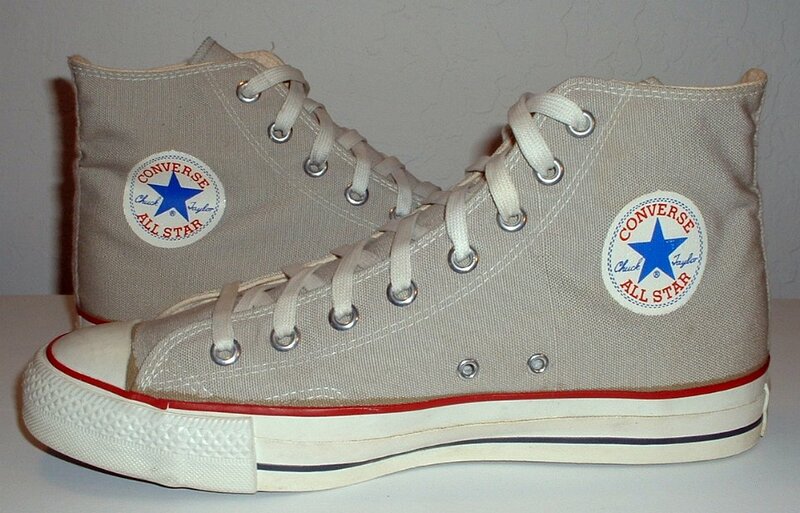 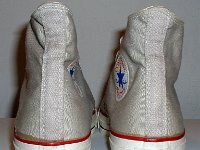 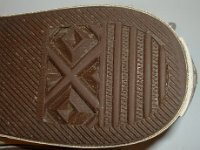 Photo gallery of vintage grey high top chucks. 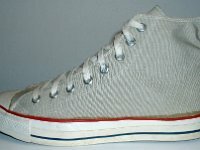 1 Vintage Grey High Top Chucks Right vintage grey high top, inside patch view. 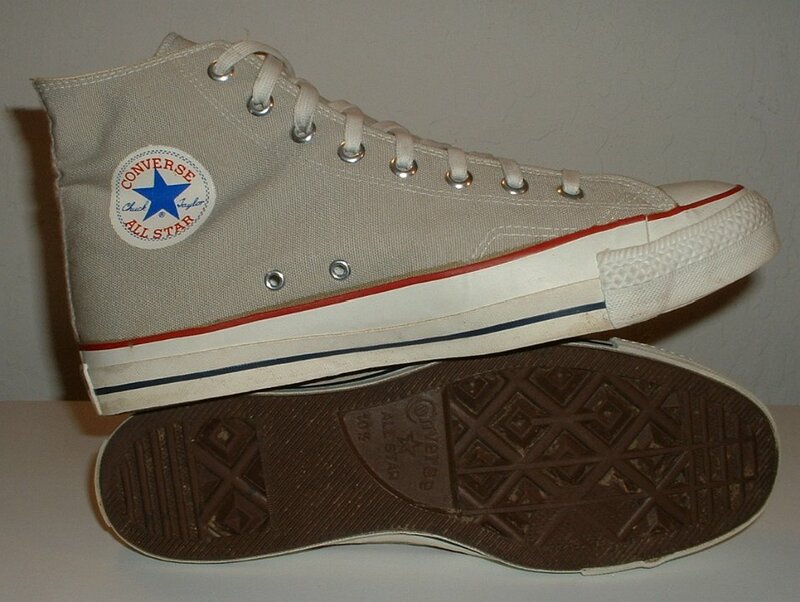 2 Vintage Grey High Top Chucks Right vintage grey high top, outside view. 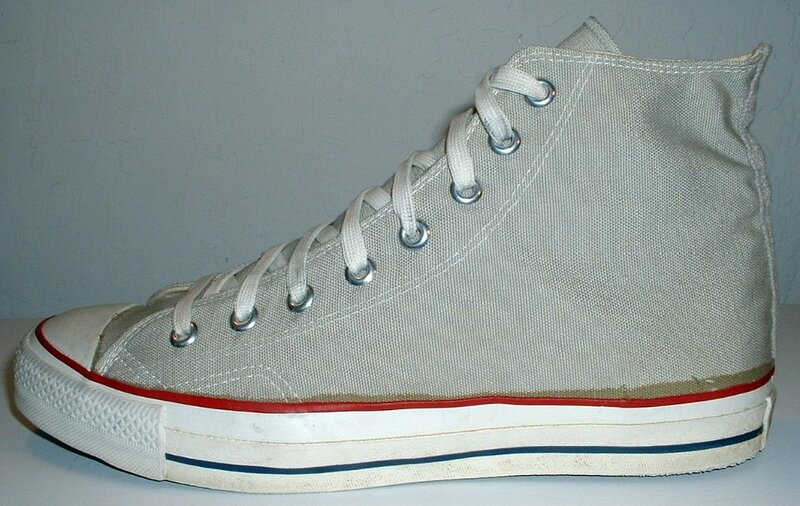 3 Vintage Grey High Top Chucks Left vintage grey high top, inside patch view. 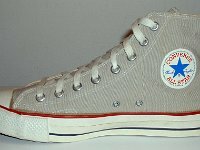 4 Vintage Grey High Top Chucks Left vintage grey high top, outside view. 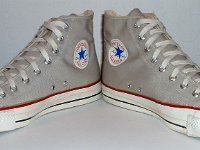 5 Vintage Grey High Top Chucks Vintage grey high tops, rear view. 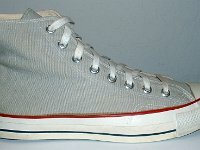 6 Vintage Grey High Top Chucks Vintage grey high tops, front view. 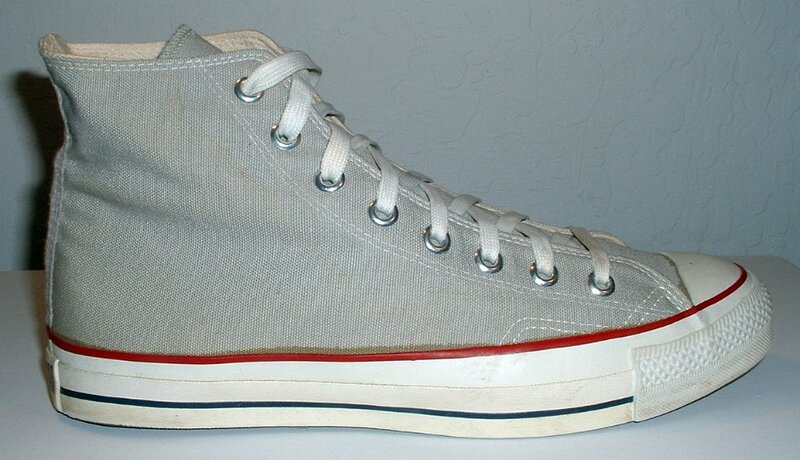 7 Vintage Grey High Top Chucks Vintage grey high tops, angled front view. 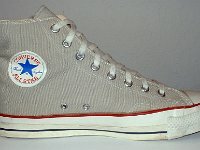 8 Vintage Grey High Top Chucks Vintage grey high tops, top view. 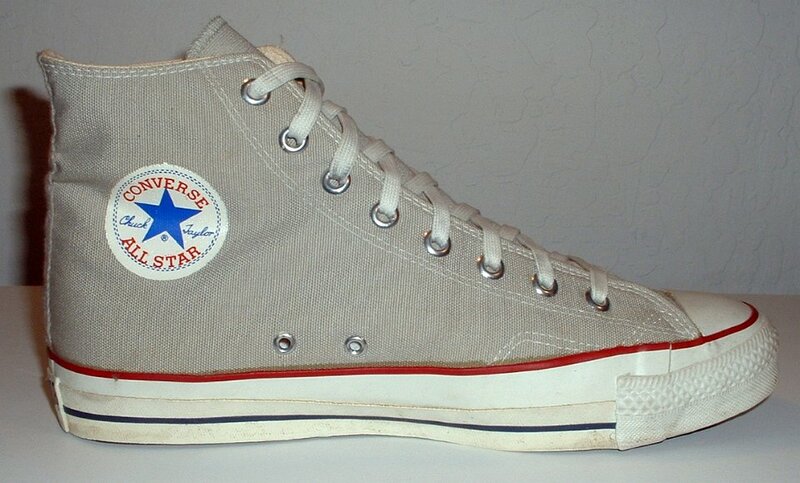 9 Vintage Grey High Top Chucks Vintage grey high tops, inside patch views. 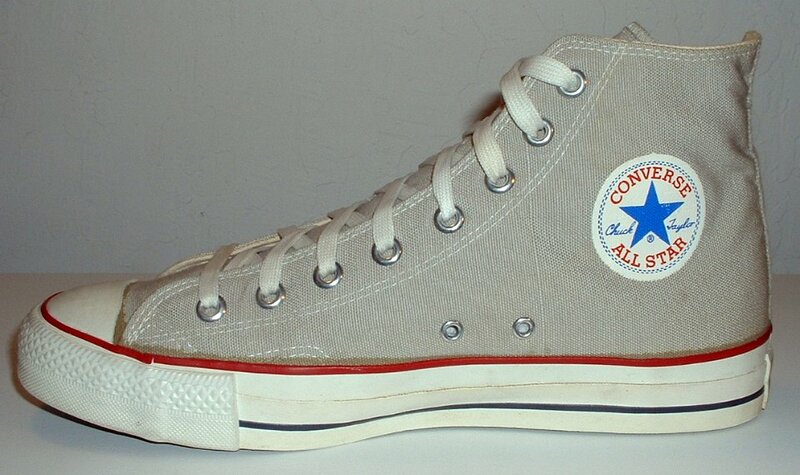 10 Vintage Grey High Top Chucks Vintage grey high tops, inside patch and sole views. 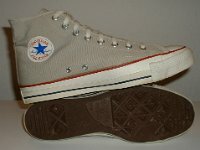 11 Vintage Grey High Top Chucks Closeup of the outer sole. 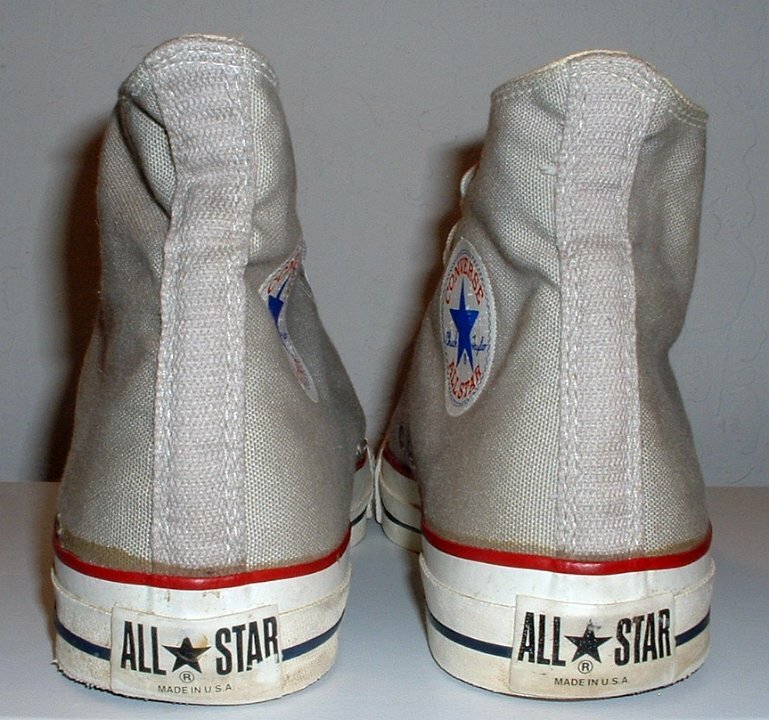 12 Vintage Grey High Top Chucks Closeup of the outer soles. 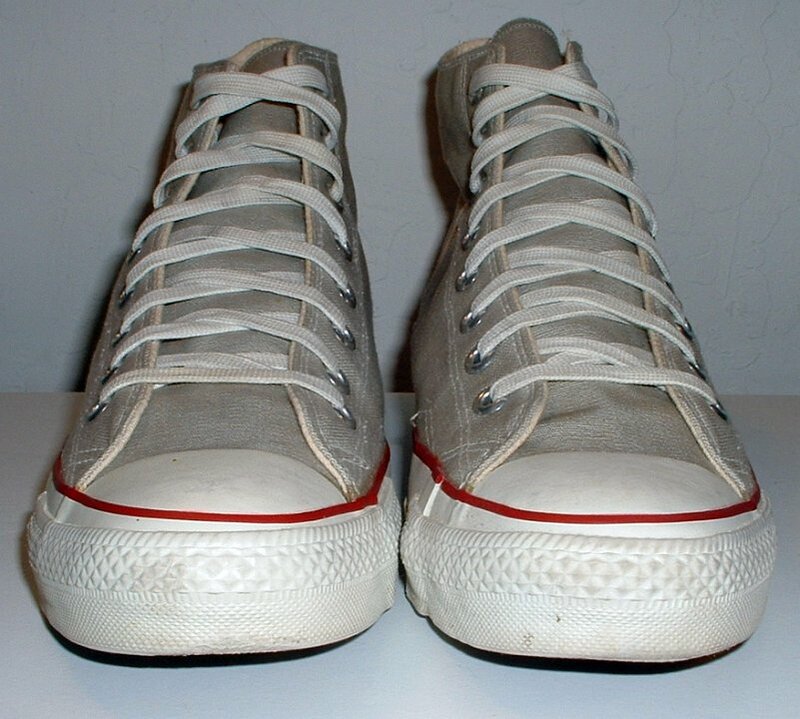 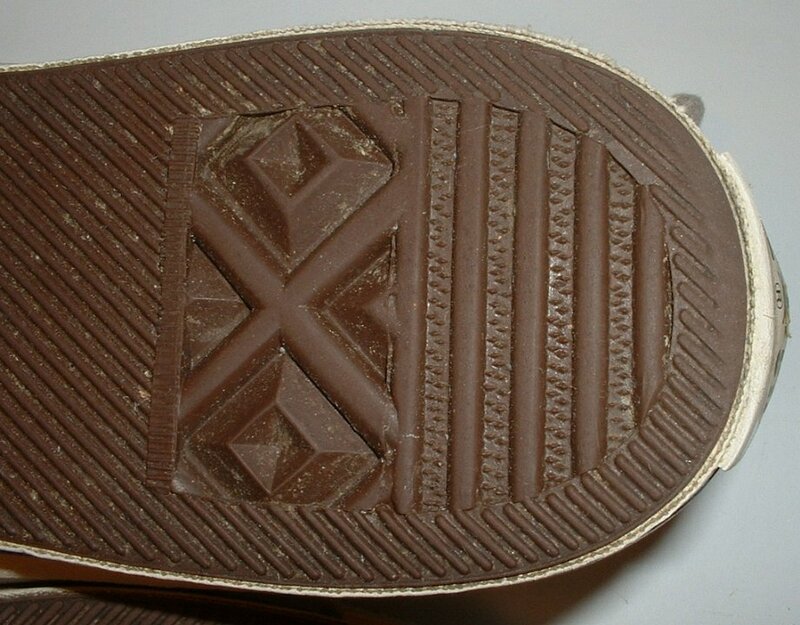 These high tops were made in the USA during the late 1970s or early 1980s. 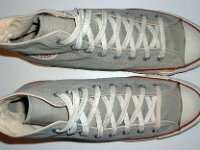 They have grey canvas uppers with foxing and red and blue piping like the optical white shoe. 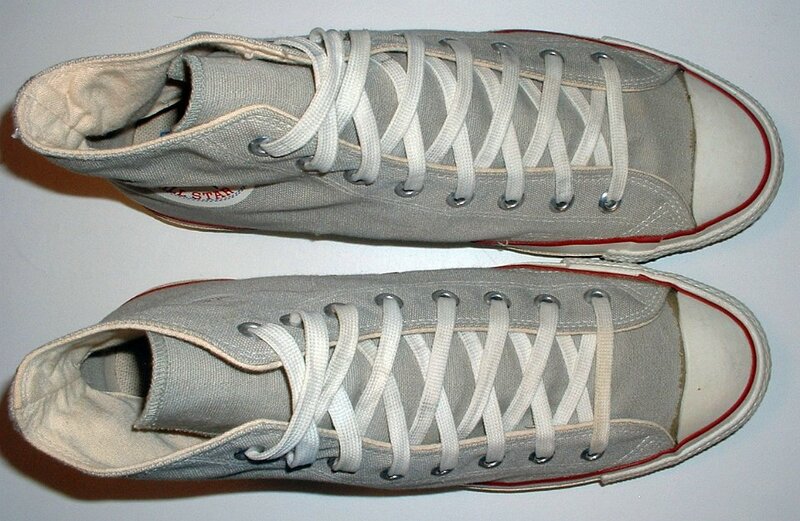 The shoes come with white vintage laces.